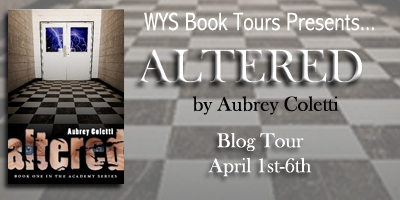 Altered is a pretty intense thriller, with lots of suspense and even a little paranormal thrown in! 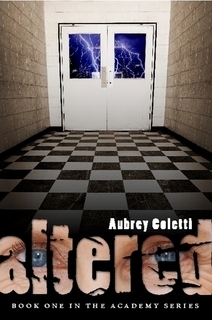 The writing style is unique, really teenager oriented, and the characters are gritty and real. “But how are we supposed to meet with them if we don’t know if we can trust them?” Anton asked swiftly. They had to keep this meeting short. It had taken them a while to all get to the abandoned house safely. The Academy was watching every move now, waiting for a mistake. The group turned to Ann. Toni, Melvin, Anton and Lieutenant had all seen people who seemed to be hinting that they wanted to join their mini rebellion. “What do you mean?” Toni asked. “But what if they don’t understand that they have to act on their own?” Anton asked. “Or get too scared of acting by themselves?” Lieutenant questioned. “I think Ann just got promoted to Captain,” Lieutenant said, clapping her hand to Ann’s and pulling their fingers apart. New Feature! : What's My Story?